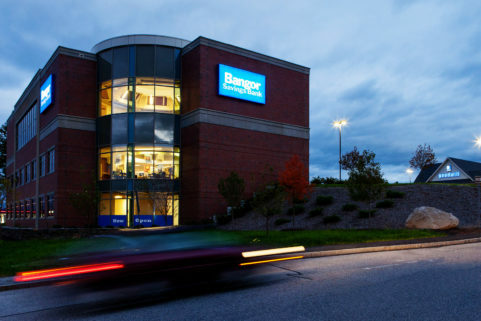 WBRC provided architectural design services for the remodel of Bangor Savings Bank’s Ogunquit branch. 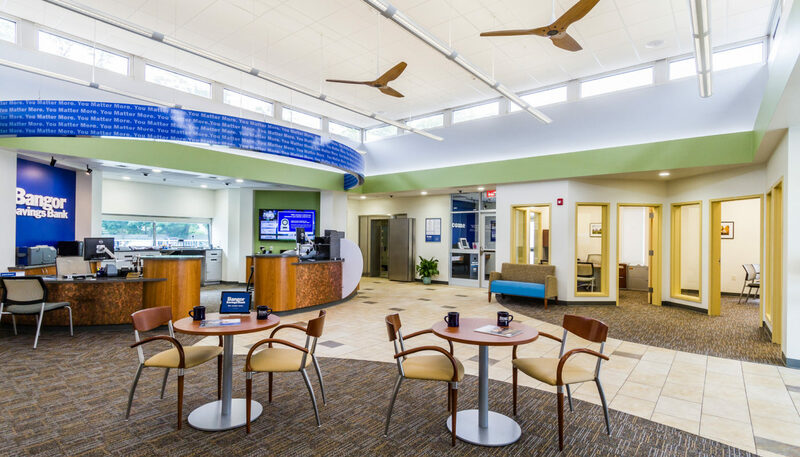 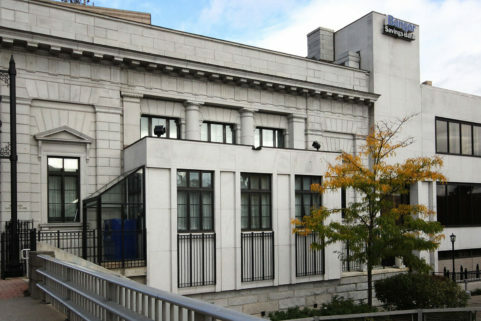 The renovated space utilizes many of the elements in its newer branch designs, including pod-style teller stations, glass-walled offices to enable staff to see and respond to waiting customers more quickly. 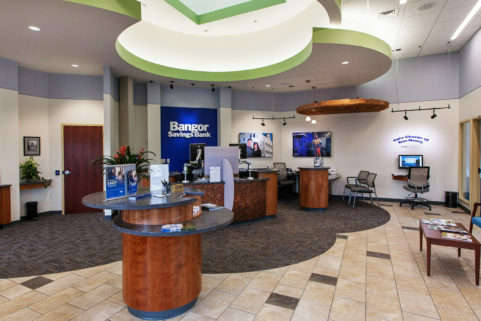 This branch also uses curved, contrasting floor patterns and materials to define spaces and direct traffic flow. 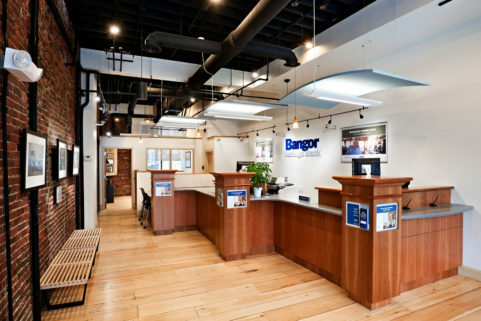 Vestibule ATM and computer terminal allow customers who wish to serve themselves instant access, while those seeking personal service have a variety of spaces to interact with staff and complete their transactions.